Asteraceae or composite flowers are characterized by the torus, a series of florets arranged in dense heads, that resemble a single flower. A very old plant, Chamomile has existed since prehistoric times. It has been used medicinally to reduce inflammation, eliminate cramping, promote digestion & acts as a sedative. 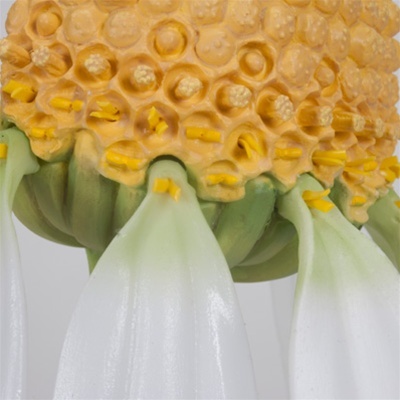 The flower is constructed by a single row of lingulate florets, on the outer edge, female petals that attract the pollinators to the center hermaphroditic fertile flowers. 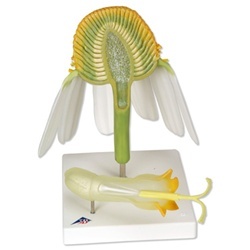 The white ray florets are furnished with a ligule, while the disc florets are yellow. 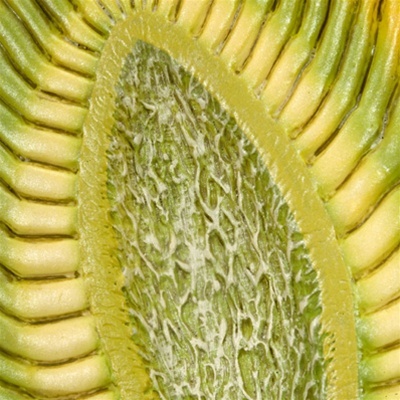 The composite flower head is shown enlarged 10x and halved to allow outer and inner views. 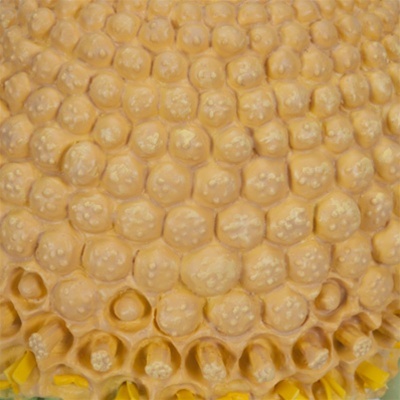 A single tubular fertile flower is shown enlarged 70x for detailed examination of its inner structures. Chamomile is the perfect flower to teach the natural application of the Fibonacci sequence. The tubular florets mature in sequence from the outside in a spiral configuration to the center. 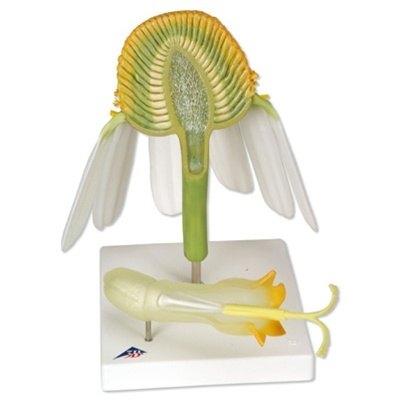 The model shows the maturation process from immature inner flower out to mature stamen.